Highlighting lush, layered flavors, bright acidity and impeccably balanced French oak, Migration is dedicated to crafting wines from the finest cool-climate winegrowing regions. This dedication led us to establish our estate vineyard in the heart of the legendary Russian River Valley. This wine is a selection of the best blocks and barrels of wine from this exceptional site. Though rich and supple, with alluring flavors of blackberry and Bing cherry, it is also a beautifully complex, terroir-driven wine. 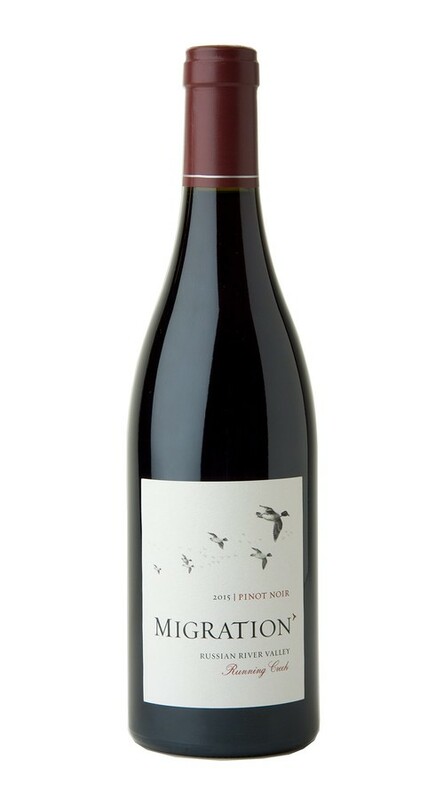 This lush and inviting Russian River Valley Pinot Noir begins with aromas of wild strawberry, brambleberry and just a hint of freshly baked bread. Supple and generous on the palate, it offers wonderful fruit concentration, with layers of raspberry and blueberry, as well as flavors of moist earth and spice.